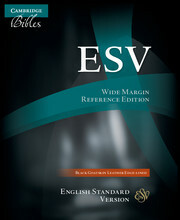 The ESV Wide-Margin Reference Bible is an enlargement of the ESV Pitt Minion Bible. The layout and pagination of the Bible text are identical but this edition has enlarged text, wide margins for personal notes and is printed on paper that stands up well to note-taking. 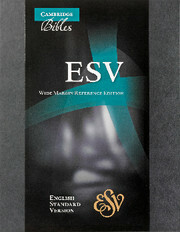 A more extensive concordance offers an extra bonus for Bible study. 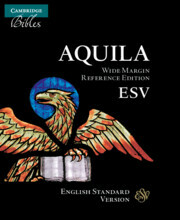 Every student of the Bible should have a quality wide margin. It's as simple as that. A good wide margin is a lifetime companion, a study Bible you create yourself through dogged commitment.